There are only a few places where nowadays still live gorilla’s in the wild. In the region of east-Congo, north of Rwanda and the most south-western point of Uganda. It’s easiest to see those magnificent animals in the last mentioned country because this part is the safest and easiest reachable. 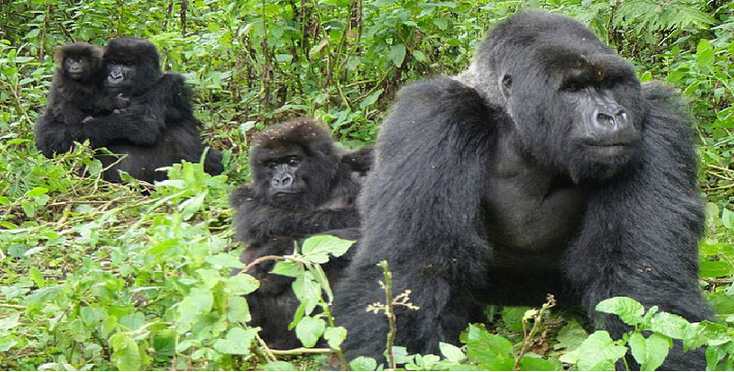 If you want to see the gorillas, it is important to get a spot on the list as soon as possible. The list is short and the registrations are very limited so be on time. You can only register via "Uganda Wildlife Authority" (UWA) in Kampala (041-346291) or via the website / email address (uwahq@uol.co.ug). 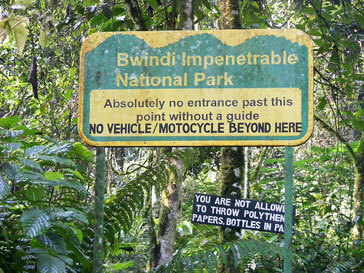 The Park headquarters of “Bwindi” is situated in the village of “Buhoma” on the north side of the park. 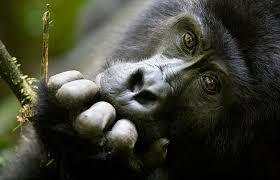 This is also the place where the gorilla-tracking starts and where you can find different options of accommodation. Cars and jeeps can not go further than the headquarters in the park. Extra: if you are ill you are not allowed to join (you will get your money back). Take a lot of water with you because the tracking goes through tropical rainforest so it’s very hot, clammy and humid. You need to drink a lot. In addition, I would bring something of a rain gear - poncho and good (walking) shoes. And don’t forget mosquito spray, some money, a snack, camera, jacket and of course a cap and sunscreen.